Matthew has been assisting Dr. Sinicropi with patient treatment and surgery since 2011. 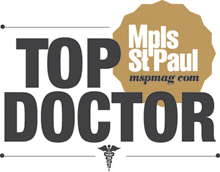 Prior to joining Dr. Sinicropi he worked for many years at Park Nicollet in St. Louis Park and Health Partners Neurosurgery Division. Matthew has extensive experience in both clinical and hospital settings. 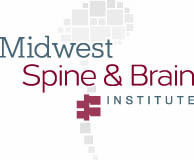 He is an expert at the treatment of neurosurgical and orthopedic patients. 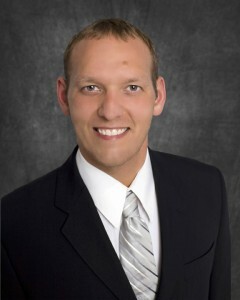 Matthew has managed thousands of patients through the process of spinal workup, spinal procedures, and spinal surgery. 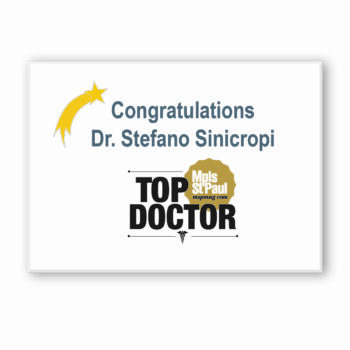 He now utilizes Dr. Sinicropi’s proprietary treatment algorithm in his own practice. Matthew sees patients in the clinic several times a week often performing the initial patient evaluation. He helps patients understand their pathology and works with patients to develop a treatment plan. Matthew assists Dr. Sinicropi in surgical procedures. After surgery Matthew assists the patient in their immediate post operative care while in the hospital and typically will see them periodically over the next year following surgery to ensure they are seeing the results they expect. If you are suffering from back or neck pain, leg or arm pain and would like to initiate the process of getting back to a pain-free life, contact us to have an initial evaluation by Matthew Hawkins, PA-C.
Matthew is married with 4 kids. He runs and lifts weights regularly, and has run more than his fair share of half marathons, triathlons, mud runs, and the Ragnar relay race. Apart from that he enjoys watching his kids play sports and dance.